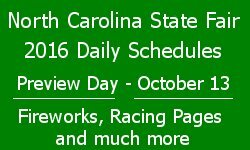 Luminaria Night 2016 Schedule, Date and time - Bethlehem PA. 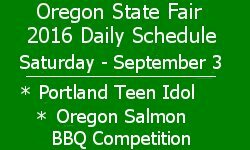 Presented by New Bethany Ministries, A symbol of unity and caring for those less fortunite. 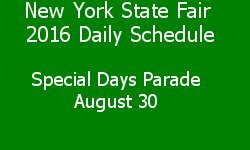 Pageant is a fully costumed re-enactment of the historical events surrounding the birth of Christ. 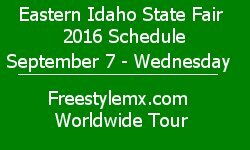 Bethlehem Christmas Tree Lighting Nov. 25, 2016 schedule - 4:30 PM. 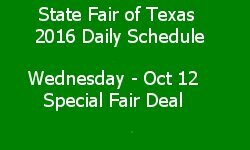 state-of-the-art musical light shows, distinctly-themed display areas and Santa. Christmas City Village is located at 556 Main Street, Bethlehem at the Sun Inn Courtyard and North Green. 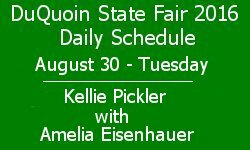 Tonight on the Free Chevrolet Main Stage - The Quebe Sisters - 5:30 pm. 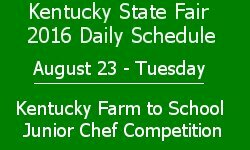 and 8:30 pm. 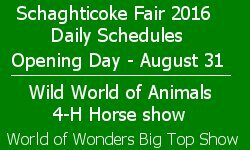 Every weekday, exchange $10.00 cash for a lunch admission ticket at the ticket booth and purchase a fair-tastic lunch from any and all of the vendors between Noon and 2:00 pm. 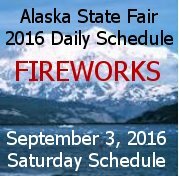 Then get your $10.00 back when you return your ticket to the ticket booth by 2:00 pm. 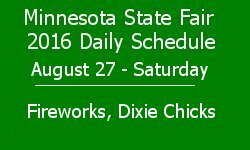 seven-character singing chicken show featuring Rocky Da Rooster and his singing hens. 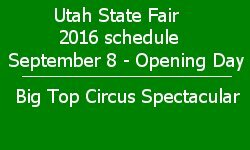 show with acrobatics, magic, limbo dancing clowns, pole climbing and more. 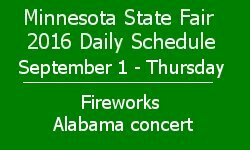 a modern-day family show band. Red Cliffs Lodge is a scenic resort alongside the Colorado River, backed by high cliffs and is 17 miles from both the main entrance of Arches National Park and from Moab Utah. The Cape Neddick Lighthouse stands on Nubble Island just off Cape Neddick Point in York, Maine. In 1874 the United States Congress appropriated $15,000 to build a light station at Nubble Island and in 1879 the construction began. 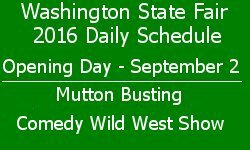 The Mount Washington Cog Railway in New Hampshire is the world's first mountain-climbing cog railway. 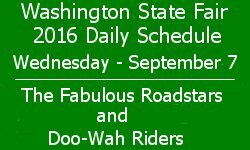 The railway is still in operation, climbing Mount Washington. World Record Wind recorded at Mount Washington for the fastest wind gust ever on the surface of the Earth: 231 miles per hour, recorded April 12, 1934 by Mount Washington Observatory staff. Arches National Park lies north of Moab Utah. There are many natural sandstone arches like the massive, red-hued Delicate Arch in the east. The Landscape Arch stands in Devils Garden to the north. 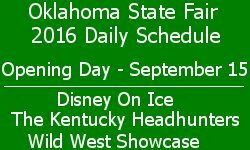 Be sure to see Balanced Rock which towers over the desert in the middle of the park. 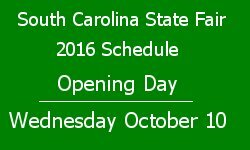 The World Golf Hall of Fame and Museum is located at World Golf Village near St. Augustine, Florida. 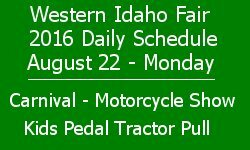 This Hall of Fame honors both men and women. 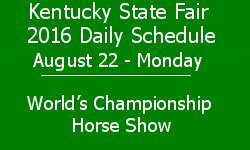 We visited the "Bob Hope - Shanks for the Memory" tribute at the Hall of Fame with many items of memorabilia, photography, audio recordings, stories and videos about Bob Hope. 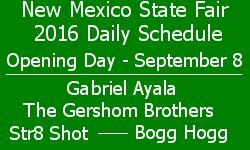 Las Vegas Nevada, in the Mojave Desert, is a resort city with 24-hour casinos and a main street Strip of just over 4 miles long. 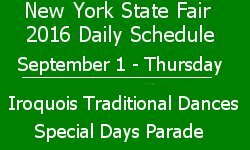 In the video see the boulevard with themed hotels, elaborate displays such as fountains synchronized to music. 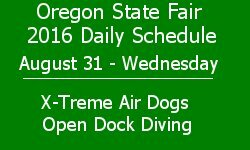 There are replicas of an Egyptian pyramid, the Venetian Grand Canal, and the Eiffel Tower. 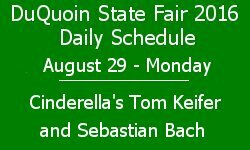 DuQuoin State Fair 2016 Daily Schedule for Monday August 29 has Cinderella's Tom Keifer and Sebastian Bach. 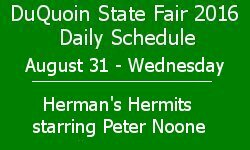 Get a Complete schedule of the DuQuoin State Fair. 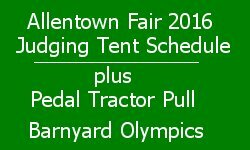 Allentown Fair 2016 Judging Tent Schedule plus Pedal Tractor Pull and Barnyard Olympics. 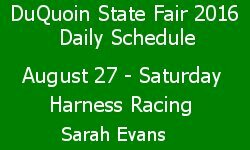 DuQuoin State Fair 2016 Daily Schedule for Saturday August 27 has a Harness Racing and a Tribute Concert to Jim Revees, Eddy Arnold, and Marty Robbins and much more. 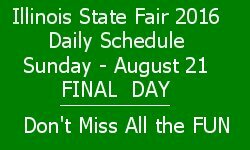 Get a Complete schedule of the DuQuoin State Fair. 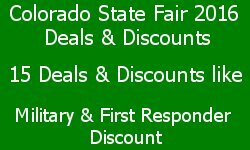 Colorado State Fair 2016 List of Deals and Discounts include Military and First Responder Discount plus approximately 14 other promotions. 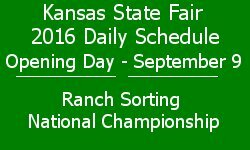 Get the complete list. 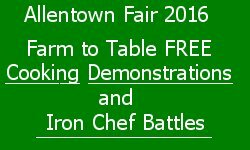 Allentown Fair 2016 FREE "Farm to Table" cooking demonstrations plus you get to see several Iron Chef Battles plus much more. 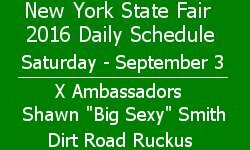 Schaghticoke Fair 2016 Daily schedule - Opening Day, Aug. 31 has 4-H Horse show, Hot Dog Pig Races, Reithoffer Shows traveling midway, Pickup Truck Pull, Karaoke, Wild World of Animals, Buffalo Barfield Music Show and Much More. 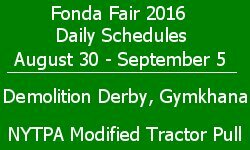 Fonda Fair 2016 Daily Schedules feature Demolition Derby, Bicycle Drawing, Kiddie Pedal Tractor Pull, Baby contest, NBHA Barrel Meet, Midway rides, Gymkhana, Western Horse show, Semi and 4-Wheel Diesel Truck Pulls and much more. 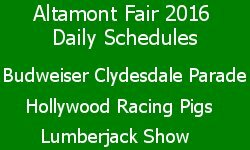 Altamont Fair 2016 Schedules has Budweiser Clydesdale Parade, Lumberjack Show, Hollywood Racing Pigs, Open Horse Show, Matchbox Car Races, Pie Eating contests and much more. 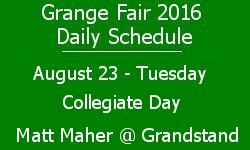 Grange Fair 2016 Daily schedule for Tuesday, August 23 - Collegiate Day starts out with. 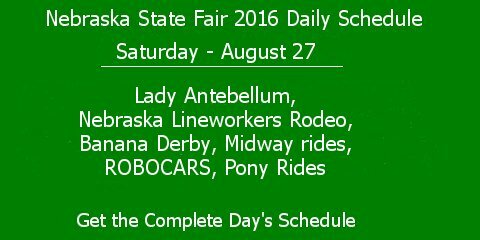 South Dakota State Fair 2016 Daily schedule - Opening Day, Sep.1 is Military Appreciation Day where Veterans and active military men and women get in Free all day. 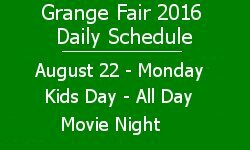 Grange Fair 2016 Daily schedule for Monday, August 22 - Kids Day, All Day - has Giant Ice Cream Sundae, Interstate Tractor Pull, Rodeo Gaming Show, Alleycats Bluegrass music, Meet the Mascots, and Reduced Amusement Rates plus much more. 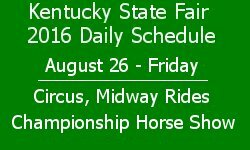 Kentucky State Fair 2016 Daily Schedule, August 22 Monday, has the World’s Championship Horse Show, Shotgun Serenade band, Junction Creek band, Killer Lips band, Ford Ride and Drive, Amazing Dobermans show, Chinese Acrobats and much more. 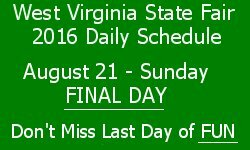 West Virginia State Fair 2016 Daily Schedule, August 21 Sunday - FINAL DAY, has West Virginia High School Rodeo, Keith Bryant, Carnival, Sea Lion Splash and Much More. 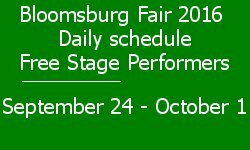 Bloomsburg Fair 2016 daily schedule for Free Stage and Roving entertainment has Tommy Guns Band, Sapphire, Mahoney Brothers, Midlife Cowboys and much more. 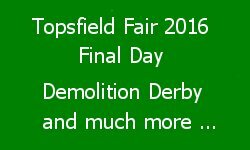 The city of Pompeii in ancient Roman was destroyed by the eruption of the volcano, Mount Vesuvius, in 79 AD. 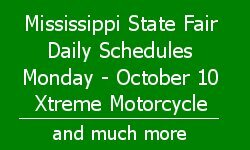 In this video you will see the House of the Faun and the Temple of Jupiter. The ancient paved streets are amazing. Monopoli a charming town in Italy, in the province of Bari, in the region of Apulia on the Adriatic Sea. 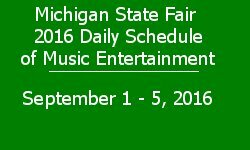 Michigan State Fair 2016 Daily schedule of Music Entertainment by Ash Can Van Gogh, Rye Whiskey, Redi Choi, Lisa Mary Band, Carly Bins, Denise Davis and Motor City Sensations, Rustbelt Angels, Hamady Marching Band and much more. 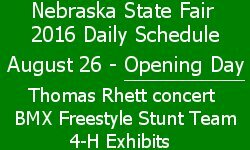 Nebraska State Fair 2016 Daily Schedule for Opening Day has Midway, Antique Tractor Machinery Display, marching bands, agricultural exhibits, 4-H, FFA, Thomas Rhett concert, Food Eating contest, BMX Freestyle Stunt Team and much more. 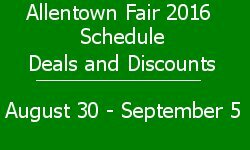 Allentown Fair 2016 Deals and Discounts include Dollar Preview Night, Early Bird Weekends, Senior Day Discount, Ride Deals and more. 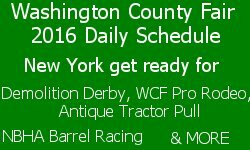 Washington County Fair 2016 Schedules have Demolition Derby, WCF Pro Rodeo, Antique Tractor Pull, Milking contest, Country music, Farmers Olympics, NBHA Barrel Racing, Horse Show and much more.